Cox Lumber Ltd. is a hardware store and home improvement retailer that started from humble beginnings back in 1947. The company has continued to grow over the decades, and now has a chain of nine locations in both the United States and the Cayman Islands. Cox Lumber Ltd. first supported the Leadership Cayman programme in 2017, signing on as the Major Supporting Partner. It has renewed this partnership for 2018, and once again Cox Lumber Ltd. are the proud partner of the programme. Cox Lumber Ltd is a proud member of the Cayman Islands Chamber of Commerce. Healthcare is one of the largest industries in the Cayman Islands, but sometimes its complexities can often be difficult to come to grips with. However, local insurance provider, Cayman First is here to help by supporting our Human Services & Healthcare seminar. Their expertise will ensure that the Leadership Cayman class better understand the inner-workings of the healthcare industry. 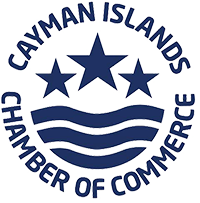 Cayman First is a proud member of the Cayman Islands Chamber of Commerce. As one of the largest employers of Caymanians, Cayman National have shown an outstanding commitment to supporting local heritage and culture. For the class members from overseas, learning about the local culture is a life-enriching and insightful experience. Cayman National’s support of this seminar shows their dedication to promoting the Islands to any-and-everyone, and we are proud to work alongside them. Cayman National Bank is a proud member of the Cayman Islands Chamber of Commerce. Considering they provide audit, tax, legal, financial advisory and consulting services all across the globe, it’s unsurprising that Deloitte make the perfect partner for our Financial Services Seminar. Their contributions to the Leadership Cayman programme ensures that the class members learn more about the Islands’ financial services industry. Deloitte is a proud member of the Cayman Islands Chamber of Commerce. Every year, KPMG are committed supporters of the Leadership Cayman programme, often getting involved in multiple seminars. The audit, tax & advisory services company is a well known brand in the Cayman Islands, and their ‘Citizenship’ commitment ensures that the company works alongside partners (including Leadership Cayman) to find solutions for pressing global issues, including education, equality, environmental sustainability and poverty. KPMG is a proud member of the Cayman Islands Chamber of Commerce. Logic is one of the largest telecommunications companies in the Cayman Islands, and as such their services are designed to assist everyone in the local community. The Cayman Islands Government also conduct their work with the interest of the wider community at heart. It’s no surprise then that Logic have supported the Leadership Cayman programme by serving as our partner for the Cayman Islands Government seminar. Logic is a proud member of the Cayman Islands Chamber of Commerce. Netclues is a locally based website & marketing company who are best known for building attractive and easy to use website, like www.leadershipcayman.ky. Netclues partnered with the Cayman Islands Chamber of Commerce to build a new, fresh, and engaging website for the programme, offering outstanding support and insight during the process. Netclues are recognised as a partner for the Leadership Cayman programme for their exclusive offers and discounts when building the website. 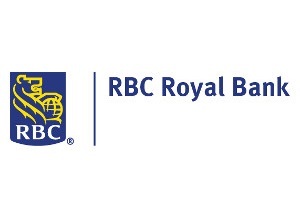 RBC Royal Bank (Cayman) Ltd. is the latest 'Programme Partner' of Leadership Cayman. The Canadian bank has spread across the Caribbean in recent years, offering a diverse range of personal & commercial banking and fnancial services to its clients. RBC is a proud member of the Cayman Islands Chamber of Commerce. Walkers Global is a global law firm with offices located here in the Cayman Islands. They handle a number of legal matters, ranging from corporate cases to litigation. Walkers is a proud member of the Cayman Islands Chamber of Commerce.